The Ready Washington coalition is set for the new school year, with new resources to support students, educators, and families. 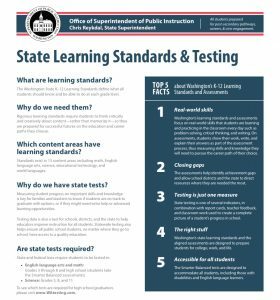 The first resource we’re sharing is a back-to-school fact sheet about Washington State’s Learning Standards and Assessments from the Office of Superintendent of Public Instruction. The digital flyer is available in 16 languages and provides key information about the standards, how they ensure students gain the skills and knowledge they’ll need for their futures, and how parents can use the standards and aligned assessments to support their students. The second resource is a bright, eye-catching poster that we’re mailing this month to K-12 schools and skills centers in every part of the state. These posters are meant to light up students’ thinking about what they can learn in science and math classes as they prepare for their career pathways. There are two versions of the poster — one for elementary schools and one for middle schools and high schools. 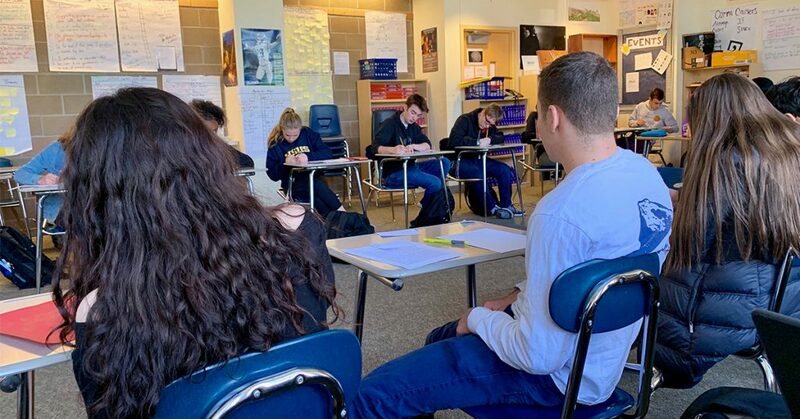 The posters we mailed included a letter about the importance of science education, co-signed by the Washington State Board of Education and the Association of Washington School Principals. Thank you for your partnership on this project! 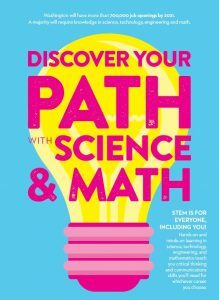 We want to encourage students to “Discover Your Path with Science & Math.” Why do we believe science and math skills are important for students today? Washington will have more than 700,000 job openings by 2021. Of those jobs, more than 400,000 will be in the STEM fields (science, technology, engineering, and math) or will require STEM literacy. Hands-on and minds-on learning in STEM subjects teach students critical thinking and communications skills, which are essential for virtually all career paths. We encourage you to print out a digital version of the poster and display it somewhere your student(s) will see it. We’d also appreciate it if you would post a picture of the displayed poster and tag us on social media (@ReadyWA on Facebook/Twitter, @ReadyWashington on Instagram), using #PlanYourPathWA and #WAScience4All. We wish all Washington students, teachers, and families and happy back-to-school season!